We study the probability that a monic polynomial with integer coefficients has a low-degree factor over the integers, which is equivalent to having a low-degree algebraic root. 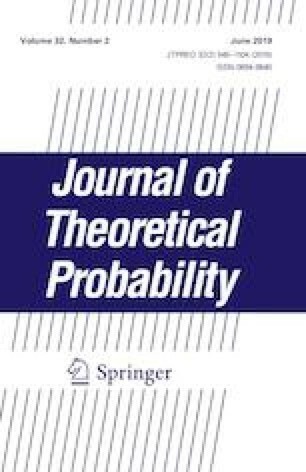 It is known in certain cases that random polynomials with integer coefficients are very likely to be irreducible, and our project can be viewed as part of a general program of testing whether this is a universal behavior exhibited by many random polynomial models. Our main result shows that pointwise delocalization of the roots of a random polynomial can be used to imply that the polynomial is unlikely to have a low-degree factor over the integers. We apply our main result to a number of models of random polynomials, including characteristic polynomials of random matrices, where strong delocalization results are known. Philip Matchett Wood was partially supported by National Security Agency (NSA) Young Investigator Grant Numbers H98230-14-1-0149 and H98230-16-1-0301. We thank Melanie Matchett Wood for many useful conversations and for contributing key ideas for Theorem 1.7. The first author thanks Peter D.T.A. Elliott, Richard Green, and Katherine Stange for useful discussions and references. The second author thanks Van Vu for originally suggesting this line of inquiry. The authors also thank the anonymous referee for useful comments and suggestions which led to the current version of Theorem 2.1. Christian Borst, Evan Boyd, Claire Brekken, and Samantha Solberg produced Fig. 1 and were supported by NSF Grant DMS-1301690 and co-supervised by Melanie Matchett Wood. The second author thanks Steve Goldstein for helping direct Borst, Boyd, Brekken, and Solberg’s research. The second author also thanks the Simons Foundation for providing Magma licenses and the Center for High Throughput Computing (CHTC) at the University of Wisconsin-Madison for providing computer resources.